I extremely need help with this issue for its so bad at this time and has been getting no where with other companies. Every story I read on your page is happening here. We did find out we have mold in every room of our 3 yr old home because of the builders error in wrapping the house under the siding. This is now affecting my health. I am impressed by your website and I hope you get back to me ASAP as I would like to look no further and just have your company help us through this issue. Well we should be able to help. If you’ve read our article, then you now know that springtails exist outside homes, in the ground, and that once the ground gets full of them, they’ll start migrating up and into structures. This is when they effectively become a “nuisance”. Now also in our article you’ll see we talk about the various treatments needed to resolve the problem. 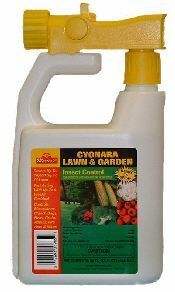 For minor problems, applying the BIFEN GRANULES around the home and spraying over the top with the CYONARA RTS will usually do the trick and stop them from entering the home. This will be required on a regular basis (at least once a month) and eventually, once the outside populations are reduced, you won’t see any inside. So for now, this would be the minimum approach you’ll need to employ. And the sooner you start, the better. I say this because a problem like this doesn’t happen overnight and it won’t go away overnight either. Be prepared to be treating for a good 6-12 months before any major reduction of the springtails in the ground will occur. Now during this time the amount you see above ground should be manageable and greatly reduced. But to stop this migration, the ones down below in the soil need to be controlled by treating outside. This will take some time since the chemicals don’t penetrate deep into the soil initially. But over a 2-4 month period, they will get deep enough to have a big impact. So to start, plan on applying 1-2 lbs of Bifen Granules to every side of the home. Renew them once a month and remember, they don’t kill quickly. Their job is to penetrate the soil and will help long term. Next, spray over the top of the granules using CYONARA RTS. This spray hooks to your garden hose and will both activate the granules and kill the active springtails foraging. Expect to use at least 1/4 jug when spraying and be sure to spray up the sides of the home too. Cyonara should be applied at least once a month during the season so time the treatments to coincide with the granules. But if you find springtails coming back sooner than a month, do not hesitate to spray again. 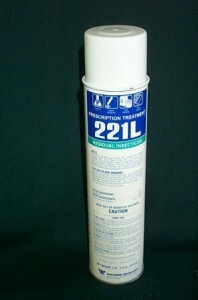 Lastly, if you’re seeing springtails inside the home, treat all surfaces by spot spraying PT-221 . 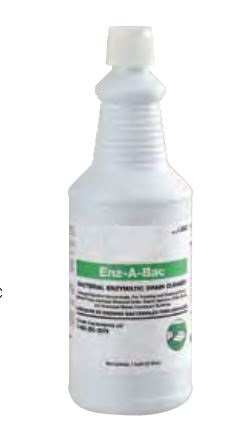 This aerosol can be used on baseboards, around windows and other routes of entry. One can is enough to treat the average home many times and you should plan on using this as needed. This means if you have to spray every few days, that’s okay. And if they’re coming out of the sink, pour SURVIVORS down the drain once a week just before you retire for the evening. Survivors will “eat” the organic matter found down most drains springtails can use to eat. By applying 2-4 oz per drain once a week, you’ll effectively remove this food after a month and in turn, help stop any migrating up into living spaces. Renew the Survivors weekly and on nights when you don’t use it, spray PT-221 down the drain if springtails are emerging. Our toll free is 1-800-877-7290 and we’re open 8:00 AM to 7:00 PM Mon-Thur; 8:30 AM to 5:00 PM Friday and 9:00 AM to 1:00 PM Saturday, Eastern Standard Time.